How to clean a pipe. Cleaning a glass pipe is quite simple. 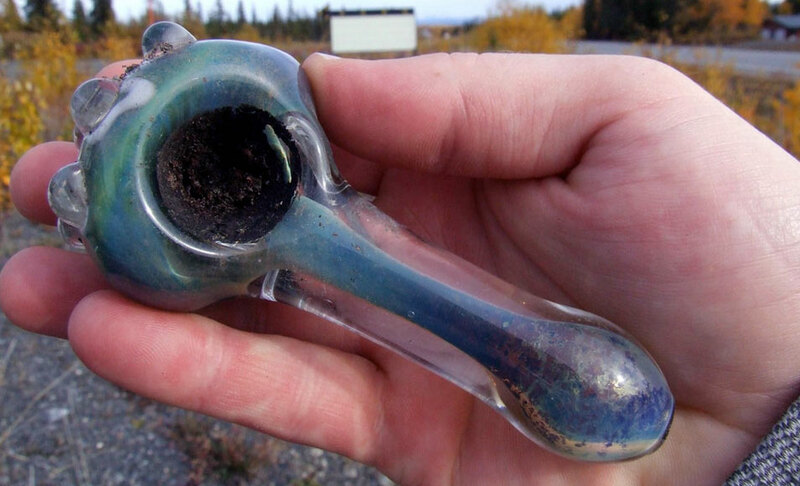 Clean a glass pipe. How To Clean A Pipe. Cleaning Glass Pipes Does Not Require Glass Pipe Cleaner. Learn how to clean a pipe, and keep yourself clean too! Cleaning a glass pipe is important because it provides purer smoke which is better for your health than smoking from a dirty pipe. tar-like byproduct of smoking marijuana from a pipe. Resin builds up quickly potentially clogging your pipe, and it also takes away from that unforgettable aromatic flavor of dank nugs. How to clean a pipe and keep yourself clean. 2. 70-90% isoproply rubbing alcohol. 3. 1 or 2 zip lock baggies. 5. A few paper towels and possibly a pipe cleaning wire. 1. 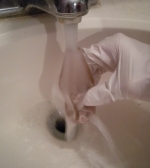 You can start to clean a glass pipe by placing the pipe in the zip lock baggy completely submerging it into isopropyl rubbing alcohol and seal. Place in second baggy wrapped in paper towels for extra safety (Optional). From here you can let your future clean glass pipe soak in the alcohol for a couple hours, or if you are in a hurry you can shake the pipe in the baggy while securing firmly it in your hands. The goal is to break down the resin quicker, not to drop and break your pipe. 2. Once the resin has had time to break loose, put on your rubber gloves because this is the dirty work. Resin is black, sticky, and unpleasant. Try to not get the resin on your skin or any surfaces. THIS OVERAN EASY TO CLEAN SINK. You are almost done cleaning a pipe. Now remove your pipe after shaking it and run a continuous stream of warm or semi-hot water through all the holes in the pipe. You should see chunks of resin wash down the drain, if any get stuck in your sink wash them down quickly. 3. By now you should nearly have a clean glass pipe. Often times the resin in the bowl area is not completely cleaned away. If that is the case, take your Q-tips and scrape away the unwanted pipe resin. 4. If the inside of your pipe is still dirty and you have access to a pipe cleaning wire, feel free to dip it in alcohol and rub the inside of your pipe clean. 5. Rinse, dry, smoke and feel the marijuana effect! Now you now know how to clean a pipe!